Oasys Property Solutions (OPS) is an award-winning property design and project management company based in Redland, Bristol. OPS have undertaken many high quality residential projects, including extensions, remodelling, and refurbishments. OPS are able to offer a turnkey solution, much like a design & build company. 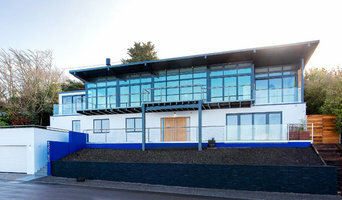 However, OPS unashamedly differ from a typical design & build company; rather than the building work being undertaken by employees on the payroll, OPS prefer to maintain a defined independence from the trades undertaking the build; thus ensuring the project is delivered to the highest quality, and no underlying motivation to compromise on quality to maximise profit. OPS clients regularly commend this approach, and value having one key individual who has a thorough understanding of the project from concept to completion, both in terms of design and delivery. Highly skilled and experienced design & build team, also specialising in Microcement. We provide a full end to end service, creating stunning contemporary living spaces. The Build Bristol Group is a company of architects and builders which provides full design and construction services for commercial and residential projects. The Build Bristol Group was founded by Dominik Walkiewicz. The company has grown organically, starting with a few excellent Polish builders and craftsman working on local Bristol based projects, growing into the nationwide company it is today. 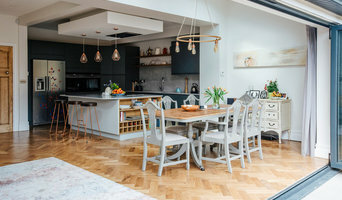 Our workforce is no longer just Bristol based; we have refurbished, renovated, extended and converted houses, barns, flats and townhouses in London, Surrey, Hampshire, Gloucestershire, Wiltshire and as far as France. Berkeley Place is an innovative construction company specialising in high-quality residential work, helping their clients achieve the best value from the money they invest in their property. Ashford Design and Build are based company in Bristol, specialising in high quality residential projects. We work with architects and home owners to bring to life their vision to improve / extend properties across Bristol and the surrounding areas. We are a small team of dedicated tradesman and professionals who work well together to deliver functional and beautiful spaces. We take care to manage the project from start to finish and pride ourselves in offering superior customer service. We will always answer the phone! Our passion for detail and finish means we take care of everything allowing you to sit back relax and leave us get the job done. 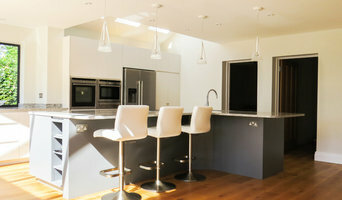 Integrate is a leading Bristol-based Design & Build Firm. We work closely with our clients to create quality living spaces which are truly unique. At Missiato Design & Build we do things differently. We're all trades under one roof. For us, this means we have a talented team capable of taking on all aspects of a project. For you, as a homeowner, this means you'll be getting a personal service and meticulous attention to detail. Our team of highly skilled, experienced local builders work across Bristol and the South West, delivering a full service from concept to completion. We pride ourselves on offering a reliable, quality and transparent service to each and every one of our customers. Missiato specialise in home renovations and as no family or home is the same, each project is unique. Our flexible approach will help you make the most of your home and realise your ideal results. Please get in touch if you would like to discuss an upcoming project and to arrange a free no-obligation quotation. We deliver a full range of design and build services to homeowners looking for a tailored high end finish, and are renowned for working closely with clients to create their stunning new home. Lawrence Services is a professional, family run company based in Bristol. We specialise in all aspects of construction and maintenance. The work we undertake ranges from new build and extension schemes, through to kitchen, bedroom and bathroom installations. Led by Ross Girdler, Integrate is an innovative Design & Build studio in Bristol. We’re here to guide you through the whole design and build process from start to finish. With Integrate, you can rely on excellent design and architecture, outstanding build quality, and top class management and custom care. The team specialise in the domestic market, from concept to completion, standing out with our design, creativity and professionalism. We always listen carefully to truly understand how your home needs to work for you & strike very close working relationship with our clients to make sure we can deliver your ideal home. By renovating or extending your home, we can turn something good into something truly amazing. At Integrate Design & Build, we enjoy and take pride in our work - we love knowing we’ve had a positive impact on your & your families lifestyle. Contact us today to see how we can transform your home. We are an expert team of traditional builders and craftsmen with a passion for sustainable construction. Using skills we have developed while working on heritage projects across the South West of England, we deliver the perfect balance of traditional craftsmanship and modern building excellence. With a keen eye for detail, we take inspiration from innovative construction design and its use in sensitive environments. We’ve worked on a large range of interesting and challenging projects so have been able to build strong relations with local and overseas architectural firms to offer a complete design and build service. We take pride in the standard of our work and genuinely enjoy what we do. Welcome to Claro. We are a Bristol-based building company that specialises in one-off, contemporary new build and home refurbishment projects. With over 30 years of experience in the commercial and domestic Building sectors, we have an exceptional eye for sharp, clean, creative design and the skills to translate sophisticated, design-based technical plans into beautiful, finished living and working spaces that will make our customers very happy for years to come. Whether you already have an architect in mind, or are just beginning to think about making a significant change to your home, we can work with you to execute your plans, or appoint one of the architects with whom we collaborate, to create a design, which we will then realize. 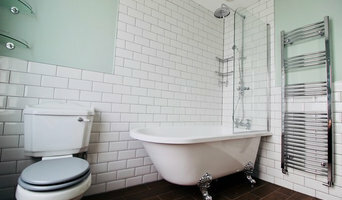 Moon is a design and build company in Bristol, specialising in high quality residential and commercial build projects. We have an in-house architectural team, a team of project managers and a host of skilled tradesmen who work brilliantly together to create beautiful and functional spaces in which to live and work. Our passion for design, experience of building and overview of each project from start to finish means we take care of everything, letting you get on with your life. Add to this our relentless obsession with the detail and you have a great building company. 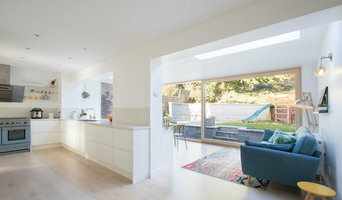 Dowling Building Solutions :: Est.1982 :: have a reputation for delivering the highest quality craftsmanship in building solutions and service throughout Bristol and the South West. Stephen Dowling, founder of the company and a carpenter by trade, achieves outstanding results with a small, highly professional team. He believes in being fully involved in all projects the company undertakes and oversees them personally. He is always accessible to his clients and it is not unusual to find him working on site with Nick, his son, and other employees, many of which have been with him for some years and from whom he demands the highest quality workmanship at all times. We fully project manage our jobs from start to finish using the necessary practices such as: our in-house architect, general building team, and necessary allied trades, who are fully qualified. We are a member of 'The Guild of Master Craftsmen', an accolade that we have gained through our high standards of practice. We also specialise in domestic soundproofing which offers homeowners a discreet solution to the common problem of noise pollution invading your home. We use a range of patented acoustic panelling systems that eliminate unwanted noise. We can install our soundproof systems to walls, ceilings, floors, stairs, boxing, etc…and have successfully completed works in a variety of houses, flats and garages. The whole process is clean, quick to install, and requires no major structural alterations within the home. Our systems are available in a variety of thickness depending on the level of noise you wish to block, starting from just 35mm. It is discreet within your home and is immediately ready for decoration once completed, restoring peace and tranquillity into your life! JPS Carpenters & Builders is a general building, electrical and maintenance contractor based in Cardiff, South Wales that was founded in 2014 by Jon Sainsbury. In addition to being recommended by Houzz, we are endorsed by Which? Trusted Traders, accredited by ConstructionLine and top rated by Free Index. Our dedicated team of skilled and qualified tradesmen (CITB, NVQ, City & Guilds, HS Direct) undertake all aspects of domestic and commercial building, carpentry, electrical and facilities maintenance for your home, premises or outdoor space. We are fully insured, offer free no obligation quotations and primarily service the Cardiff area and wider South Wales region. We place customer satisfaction at the forefront of all operations to convert your abstract goals into tangible results, and to apply solutions to any problems your property or premises may encounter in its lifetime. For 100 years we have been turning our customer’s ideas and concepts into high quality bespoke, handmade joinery and, at the same time, building an enviable reputation for the highest standards of manufacturing skills and customer service. The business continues to build on it’s achievements through a continuous process of investment in people, skills, new technology, state of the art software and manufacturing methods. At Hawker Joinery, we take a keen interest in being of service to the community locally, regionally and nationally. Hawker Joinery was established in 1919 by F.W. Hawker. Mr Hawker set up a workshop in Batheaston to produce wooden crane cabins for Stothert and Pitt (one of the finest local engineering companies). Hawker Joinery prides itself on this heritage, and over 90 years on, the joinery is still hand-crafted in Bath today. Whilst specialising in windows, Hawker Joinery has diversified into making a wide selection of hand-crafted joinery at a high level of quality. Over the years we have gained a valued reputation, working with aspirational home owners, contractors, architects and developers. Our valued reputation has meant that we have proudly produced handmade joinery for the Bath Abbey, The Duchy of Cornwall, Windsor Castle and Buckingham Palace. The George Davies group was founded on the simple foundations of honesty, trust and a positive attitude. This in turn has increases strong relationships with customers, suppliers and co-workers alike. This different approach to the industry has led us only to a well-established reputation for quality, flexibility and desirable services offering a range of solutions. Understanding that not “one size fits all” and by tailoring our catalogue of skills, trades and technics to your requirements you in turn receive nothing less than truly accommodating and comforting service. Welcome to Smarta. Our award winning team offer our customers a bespoke, high quality, affordable construction and home automation services that will help you create your dream home. Smarta are here to bring your home into the 21st century. We have over two decade's experience in the Home Automation and Construction industry. We pride ourselves on working closely with our customers to design and develop premium construction projects and home automation systems, delivered on time and to your required budget. Contact us today through our contact page, Message us info@thinksmarta.co.uk or call 02920 066 588 arrange to your needs with one of our friendly team. Cuando se trata de construir una casa o reformar un piso por completo en Bristol, UK, muchas personas prefieren encargar el proyecto a empresas que puedan hacerse cargo de todo el proceso. Si prefieres concentrar tus energías en los detalles y delegar el grueso de las decisiones, las empresas de diseño y construcción son tu opción. Estas compañías cuentan con profesionales de la construcción con los conocimientos técnicos y legales necesarios para desarrollar el proyecto de obra a la vez que sus profesionales del diseño se hacen cargo de la decoración de interiores, de exteriores y del paisajismo. ¿Qué es una empresa de diseño y construcción de Bristol, UK? Son empresas que ofrecen un servicio completo de construcción residencial, es decir, que se hacen cargo de todo el proceso de edificación y aúnan lo mejor de las empresas de diseño y las empresas de construcción. Ya se trate de añadir un anexo o de hacer una reforma, cuando se trata de proyectos de casas estas compañías ofrecen soluciones que incluyen desde los arquitectos hasta los constructores, pasando por los diseñadores de interiores, interioristas o decoradores y los contratistas. El objetivo de estas empresas es ofrecer el mejor servicio posible a sus clientes reuniendo bajo un mismo techo todos los expertos vinculados con los procesos de construcción. Al contar con un equipo multidisciplinar, las empresas de diseño y construcción consiguen llevar a cabo todo el proceso de forma más rápida y eficiente. Además, con estas compañías resulta más sencillo introducir modificaciones en los proyectos y que estas no ralenticen las obras. Por ejemplo, si el profesional del diseño detecta un cambio necesario cuando la vivienda ya está en fase de construcción, puede comunicárselo fácilmente al arquitecto técnico y que este lo tenga en cuenta durante la edificación o reforma. Por tanto, entre los servicios más destacados que realiza una empresa de diseño y construcción podemos encontrar: construcciones de casas, diseño de edificios, construcción de garajes o anexos para casas, entre muchos otros servicios. ¿Puede darte direcciones de edificios que hayan construido? ¿Los trabajadores que trabajan en sus obras son empleados de la empresa o están subcontratados? Quiénes son los profesionales colegiados responsables del proyecto y de la dirección de obra? ¿Qué harán si las obras superan el presupuesto original? Encuentra empresas de diseño y construcción en Bristol, UK. Mejora los resultados de la búsqueda en la sección “Profesionales” incluyendo el nombre de tu ciudad o comunidad autónoma. También puedes consultar las fotos de casas de los profesionales de Bristol, UK para encontrar expertos que hayan trabajado en proyectos similares al tuyo. También puedes solicitar presupuesto directamente al hacer clic en uno de los servicios que proporcionan las empresas de diseño y construcción en tu zona en la parte superior de esta página.